The EVH 5150 III Combo guitar amp is a total tone monster. With seven 12AX7s and two 6L6s, the 5150 III Combo pumps 50 watts of pure chest-pounding, solo-soaring power into a pair of vintage-style Celestion G12M 12" speakers. Onboard, you'll discover three channels that take your tone from clean to extreme, plus major tone-sculpting control and an epic DSP reverb. Dial up spanking cleans for rhythm work, hit the included footswitch to call up tasty crunch, then hit it again for face-melting lead tones. There's even a power scaling circuit built right into the 5150 III Combo amp, so you can cut back on the volume, without starving your tone. 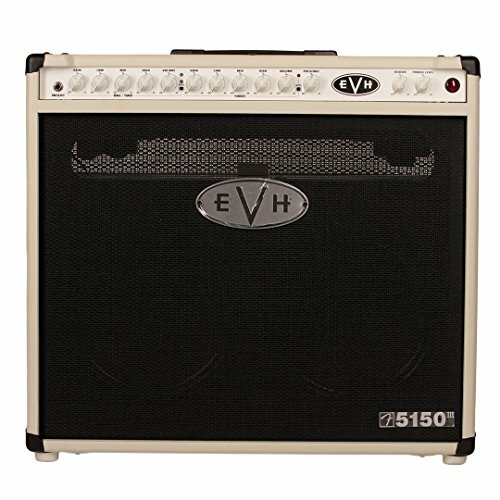 For massive all-tube guitar tone with all the volume you need, pick up an EVH 5150 III Combo from GearNuts.com! If you have any questions about this product by EVH, contact us by completing and submitting the form below. If you are looking for a specif part number, please include it with your message.